The purpose of the summit is to let Google Partners know what changes Google has coming up in relation to their suite of products (Google Analytics, Google Tag Manager, Google Data Studio, and Google Optimize), and for Google to hear from us, their partners. Most of the updates covered in the conference are confidential until released for beta or public use, but I can disclose that I arrived with a blank notebook and returned with around 40 pages of notes! I’ve been lucky enough to attend this summit three times. The first was more than 10 years ago when Google Analytics was on a much smaller scale and the event was hosted in Mountain View, CA. It was amazing to see the environment where the Googlers made their magic happen. The last two summits I attended, in 2015 and 2017, were held in downtown San Francisco at hotels large enough to house Google’s many partners and clients from around the world. This year I flew to San Francisco a few days early and had a chance to get acquainted with the city. A tour through the Japanese Tea Garden, a drive to Half Moon Bay, and a boat tour of the bay (which, looking out at the water looks strikingly like Halifax) were a few of the many things I squeezed into my visit. 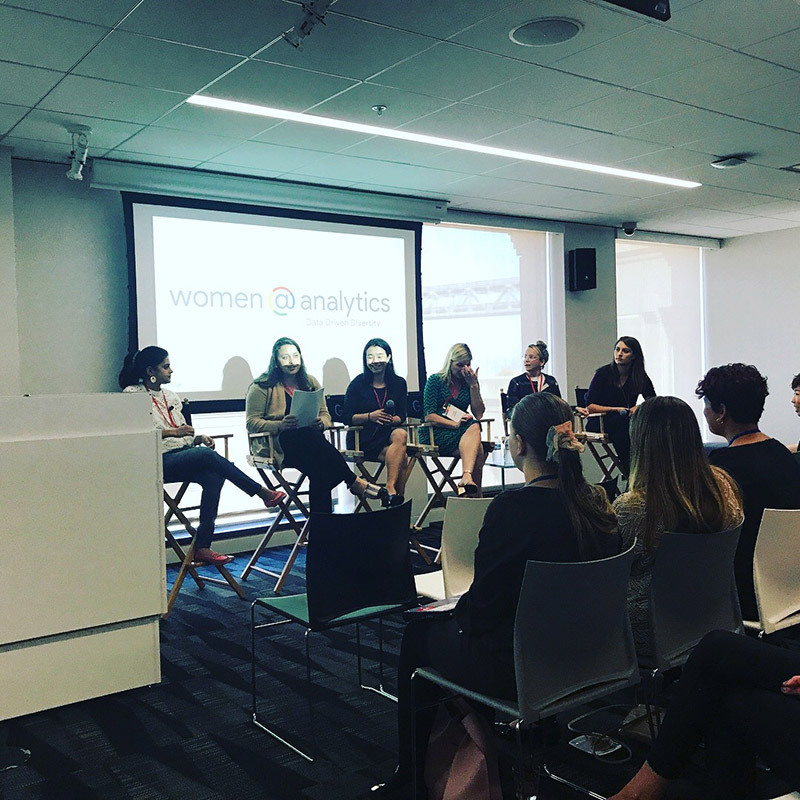 The official summit took place over two days, and two additional conferences – Women in Analytics and Optimize and Tag Manager Immersion Day – took place on the days before and after. I jumped at the invite and secured a spot at each of these limited-seating events. Women in Analytics was held at the Google offices in San Francisco. Upon arriving I had some time to chat one on one with a couple of Digital Analysts, one from Germany and one from the Ukraine. It was fascinating meeting other women with jobs like mine, with similar clients and challenges. The hotel was buzzing with hundreds of people wearing the orange lanyards indicating their status as Google Partners. Each lanyard had a pin to represent the country the partner had travelled from. Seeing fellow Canadians was nice, and knowing which countries other partners were from made for a good ice breaker. The Googlers in attendance wore white lanyards and chatted with attendees throughout the event. They wanted to get to know us and hear how we’re using their products and were constantly asking for any feedback we had or issues we may have come across. Breakfast and lunch was provided in large banquet rooms for attendees. This was a nice opportunity to network and chat, and the rooms were never silent or short of conversation. Several sessions were held simultaneously, and choosing which to attend was (as always) a challenge. I selected a good balance of interesting speakers, topics applicable to current/future projects and clients. Demo Alley – a space to use and preview updated products with the engineers who worked on them – was a perfect way to get caught up on changes which weren’t covered in sessions and provide my input on how I would apply product changes to my daily tasks. The engineers were there to demo, help, and ask for feedback. Google isn’t asking for feedback just to be nice – they actually implement the changes we suggest, improving their products for the people who use them. This last event was held on the final day at the Google offices in San Francisco. Teams of Googlers hosted the event and were available to talk all day. Less structured than the two-day summit, it brought out some friendly rivalry between teams. Half of the day was dedicated to Google Tag Manager and the other half to Google Optimize. A good portion of the speakers were users who had case studies of how they applied the tools to solve complex business decisions. Speakers shared challenges they faced along the way and tips on how they overcame them. The audience asked peer-to-peer questions and had discussions after each talk. While one team was hosting their speakers, the other team had ‘office hours’ and were open to discussing products. Although I was sad to see the summit and additional sessions end, my brain was spinning for the entire four days of the event, thinking of practical applications for the information I was receiving. I’m anxiously waiting for some of these fantastic features to be released. 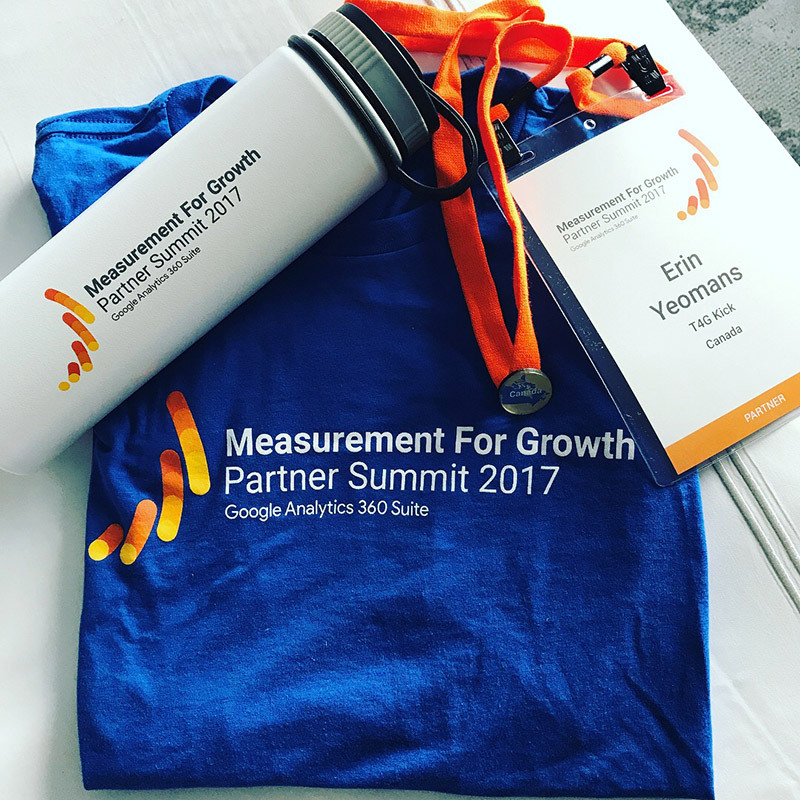 As a Google Analytics, Google Tag Manager, and Google Data Studio certified partner with more than 12 years of experience working with Google products, Erin uses her passion for numbers to provide in-depth analytics reports and analysis. Erin’s commitment to health and wellness keeps her on her toes, as do her two rambunctious boys and three rescue pit bulls.